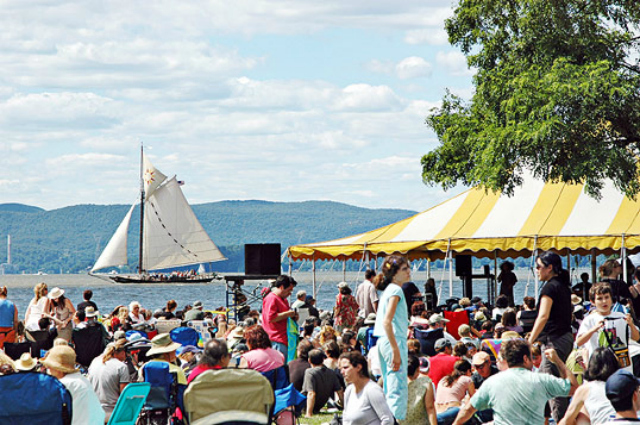 One of our favorite festivals, Clearwater's Great Hudson River Revival, is coming up this weekend, June 16 & 17 at Croton Point Park in Croton-on-Hudson, NY. This year's lineup is mind-boggling: Ani DiFranco, Martin Sexton, Preservation Hall Jazz Band, Bela Fleck, Arlo Guthrie & The Guthrie Family, Dawes, Punch Brothers, Deer Tick, Peter Yarrow, David Wax Museum, and others too numerous to mention! If the Clearwater Festival is on your schedule this year, stop by the FUV booth and hang out with your favorite radio station. We'd love to see you!